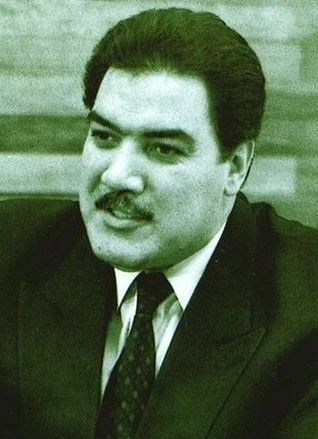 In 1987 Najibullah announced a ceasefire, a new constitution, an appeal for a coalition government with the fractious opposition. Najibullah’s rule is still fondly remembered as the best period in recent history by Afghans old enough to know. 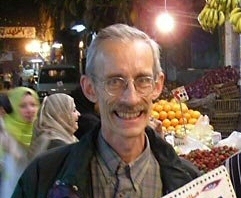 He had moved forward since he took over from Karmal in 1985, with a new constitution making Islam the state religion. He was an able commander, miraculously staving off the insurgents, leaving areas to local tribal leaders, who quickly restored pre-communist traditional village governance, settled down, and refused to join in the now Taliban-al-Qaeda world jihad. Elections were held, and in 1988 the 50-man UN Good Offices Mission in Afghanistan and Pakistan (UNGOMAP) was set up to confirm the withdrawal of Soviet troops, help repatriate refugees, monitor the flow of arms into Afghanistan, and prevent any hostilities from developing between the Afghan and Pakistani governments. The mission contained 5 Canadian peacekeepers. Though no official arms embargo was agreed (the US-Saudi ‘aid’ was still unofficial), there was a gentleman’s agreement to that effect, supported enthusiastically by Iran and India, ignored by the US, Pakistan and the Saudis. At first it looked hopeful. With the departure of Soviet troops, the spirit of jihad was draining away. As Soviet troops evacuate, locals reconstitute local affairs along traditional lines. No one wanted jihad. Except for Bin Laden and his new devotee, Mullah Omar. And of course the US and Pakistan. This alarmed both the Saudis and Americans, though for different reasons. The Saudis liked Bin Laden’s dream, despite their fear of him and his attraction to young Saudis. After the Iranian revolution in 1979 and the assault on the Kaaba by would-be Bin Ladens, the Saudi Wahhabis wanted the whole world to enjoy their austere version of Islam, to be king of the Saudi version of the New World Order. Gorbachev’s new ‘friend’ Ronald Reagan, who never admitted the massive US-funded program to arm the mujahideen, promised him he would ‘give peace a chance’. But the US was not interested in peace and continued arming the insurgents even after the Soviet troops had left, and as the Soviet Union was collapsing. For the past decade, the US had been buying Soviet weapons to cover its tracks (from Israel, China, Egypt, Turkey), the Saudis financing them, a stunning $1.3b in 1989. The Stinger missiles (the US gave up all pretense of neutrality at this point) were the last straw. And Pakistan? 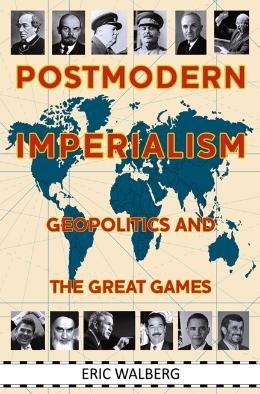 Bhutto’s assassin, Zia Ul-Haq, wanted to control the whole works, with a fantasy of liberating Soviet Central Asia and putting it (along with Afghanistan) under Pakistan hegemony, their version of the New World Order, with Pakistan leading the way. But these ten years had been devastating for Pakistan. The Afghan transit trade agreement allowed duty free transit for the rebels, which meant a blank cheque for smuggling and embezzlement, syphoning off goods that were meant for starving Afghans, undermining Pakistan traders, creating a culture of drugs and weapons. Pakistanis were sick of this proxy war. Bombings increased from 1987. Ul-Haq died mysteriously in 1988. Bhutto’s daughter, Benazir, triumphantly took power, vindicating the murder of her father. But she controlled nothing, kept ISI general Hamid Gul and the Afghan political machinations in place. She would eventually be assassinated, by a Taliban-al-Qaeda militant in 2007, though she had accused the Pakistan military of attempts on her life in 2006. The coming collapse of the Soviet Union, precipitated by the tragedy in Afghanistan, was already clear by 1988 and blinded US strategists. If they had been paying attention, they would have noted the wild atrocities and inability to govern of their new ‘freedom fighter’ allies, and wondered where that would lead to. Pakistan’s seven official Afghan parties, at odds from the start, plunged Afghanistan into a new civil war, this time among supposed Islamists, ending with the rise of the Taliban, who captured Afghans’ imagination with their unity, resolve and ability to disarm one and all. When the Soviet Union finally imploded in 1991, the mujahideen armed with Stingers claiming ‘victory’, the writing for Afghanistan was on the wall. The writing on the post-Soviet wall was also clear. Pakistan’s own revanchism, really a massive power grab, seeing the Taliban as their proxy, led them into the jihadi wilderness. 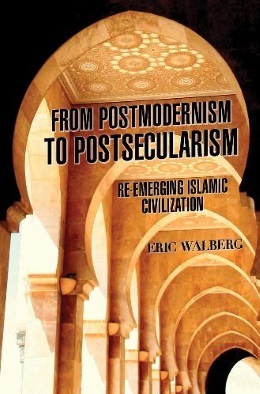 The Pakistani government was not remotely Wahhabi, really more secular than Islamic, despite ul-Haq’s eagerness to take Saudi oil dollars, his muddled sharia, and the Taliban were nobody’s proxy, hardened in Saudi-financed madrassas in Pakistan, rootless, Afghan in name only, knowing more Urdu than Dari, the vital second Afghan language after Pashtun. They were not remotely a credible government. The US didn’t really care. They lost interest after the Soviet Union collapsed. 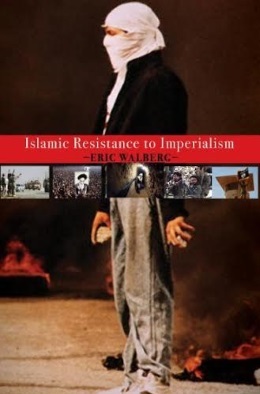 Afghanistan was still the remote ‘backwater’ (doubly landlocked), the Taliban were in control and disarming the bloodthirsty rebel groups, Najibullah was strung up by the balls. A US official told Ahmed Rashid, “The Taliban will probably develop like the Saudis did. There will be Aramco, pipelines, an emir, no parliament and lots of sharia law. We can live with that.” US assistant secretary of state for South Asian Affairs, Robin Raphael said their capture of Kabul was a “positive step”. Things started to catch up with the US by 1998. Bin Laden’s al-Qaeda carried out the bombings of US embassies in 1998 in Tanzania and Kenya. Though there is good reason to believe this wasn’t BL’s doing (rather his second in command, Zawahiri), the US demanded his extradition, and according to Prince Turki al-Faisal, Afghan leader Mullah Omar agreed---until US cruise missiles struck Afghanistan and Sudan in a bungled attempt to kill BL. 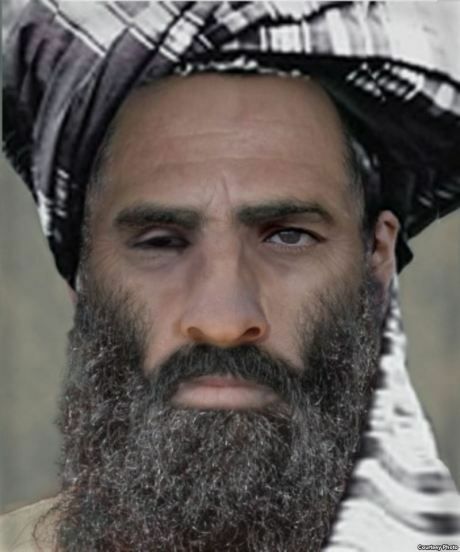 The Taliban leader, the simple, barely literate, one-eyed Mullah Omar, was captivated by the charismatic, self-styled sheikh Bin Laden, who had seemed above the fray. Omar was nominated Amir al-mu’minin in 1996, the military title of the second rightly-guided 7th century Caliph Omar. He wrapped the cloak of the Prophet around himself and was elected by an Arab shura, not a lowly Afghan loya jirga, in pseudo-strict Islamic tradition. Oddly enough, one of Omar’s first actions was a 1998 decree restoring property rights of women, in line with the Quran. The Taliban moved the capital to Kandahar, leaving a destroyed Kabul to fend for itself, appointing non-Kabulis to administer it. It didn’t matter much, as there there was little to administer, and no one had any experience in how that might be done. There was no government. Mullah Omar paid cash to officials from tin trunks under his bed. Fighters were prohibited from looting but discipline broke down, spectacularly in Mazar in 1998. Omar was in thrall to his elegant Saudi ‘prince’. They both seemed to have seen themselves as personally channeling the Prophet Muhammad, and dreamed of the revival of the real Islam. Bin Laden was the elephant in the room. His coffers were dry at this point, his inheritance squandered, what was left of it cut off. But the Pashtun tradition was ‘No khan without dashtarkhan [tablecloth].’ The edge of the cliff was reached in 9/11 (whoever did it). It is hard not to marvel at this mad dance with the devil. There is no question that the naive Taliban were/are heroic, true shahideen, as their unflagging battle against world empire continues. They are still the legitimate government, despite the fact that only three ‘nations’ (briefly) recognized them, they were never granted the Afghan seat in the UN, they didn’t really govern during their five years of glory, and facilitated several spectacular, monstrous political acts. They never took the Saudi road of compromise with the (US) devil, but they did flirt with it, spurned it, and paid dearly. Of the chief actors here, Taraki and Amin died in 1979, ul-Haq in 1988, Najibullah and Karmal in 1996. ** Bin Laden was murdered and thrown in the ocean by US forces, age 54, appropriately in 2011. Mullah Omar outlived his mentor by two years, dying in 2013 of natural causes at the age of 53. 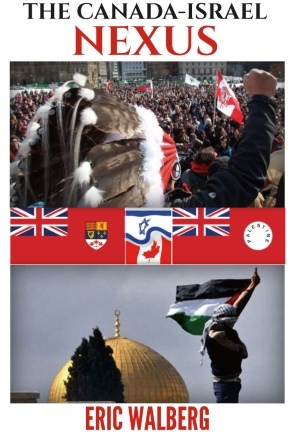 At each of the three turning points, a peaceful resolution could have been achieved. At each one, the US scuttled peace. The PDPA and mujahideen are now footnotes. Are the Taliban able to take back power? It's a marvel that, with virtually no material support, they still endure. As cynical US strategists proposed, they probably would have matured into a tolerable Saudi-like government over time. They still could. The current US-backed government has no legitimacy. The Vietnamese survived two decades of US bombing, kicked out the occupiers, and are now thriving. That sure looks like a miracle. Can the Taliban can perform another one of their miracles and find some kind of closure? The Vegans depicted in Contact must be shaking their heads sadly at the state of their new spacefaring friends. *Notably Uzbek Yuldashev Namangani, founder of the terrorist Islamic Movement of Uzbekistan in 1998. In 2000 Mullah Omar recognized the breakaway state of Chechnya and opened a mission in Kabul. Both legacies of US meddling.